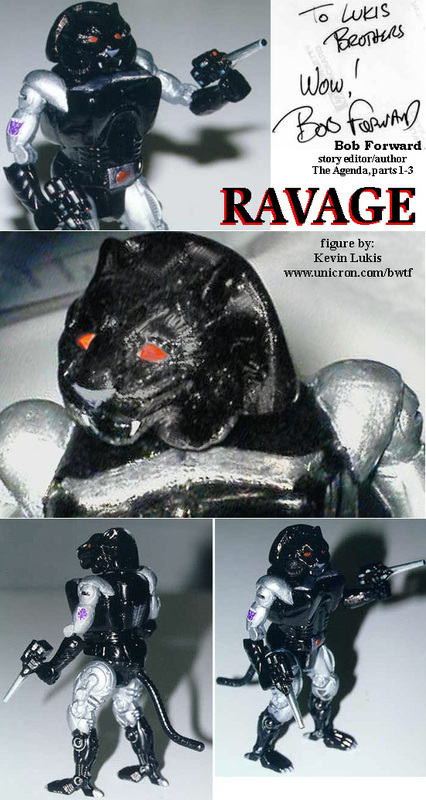 Perceptor made Ravage starting w/ a TM Cheetor (Hey, that's what Mainframe used!) The arms are from an original Cybershark and I re-molded an original Tigatron beast head to make Ravage's. The chest was sculpted almost entirely from scratch.